I try to listen to the daily readings every day, by the podcast, so I can listen without having to put on contacts or glasses. I love to listen to the pray as you go podcast as I finish breakfast and sip my coffee or tea. I really miss it when I don’t get to do this, I just feel like when I do, I am more focused and centered in my everyday life and work. I appreciate the Laudate site, and often write letters to God that I read back later on, and see how God has fixed a problem, or sent a person that changed a situation for the better. God doesn’t give me everything I want, but he turns negative events into ways I can glorify him. Thank God for these opportunities, and thank you Laudate, for keeping me grounded in my faith even when I’m too busy to attend daily Mass. ->> As it is now Forward does not work, and Share also sends line after line of what I think is the CSS language that defines the presentation in the App. 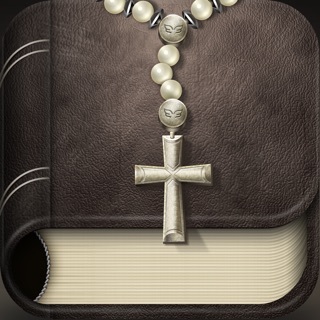 However, that being said, I find that the App is beautifully constructed, and as a returning Catholic whose parents had their children baptized but never confirmed, I feel as if I am coming back into contact with the fullness of the LORD, and his Church as I felt as a young child before life turned so terribly tragic after my parents turned away and into what I call 'Young Moderns', and acted like had all the answers without any church at all. What happened then, divorce, alcoholism, house full of cigarette smoke, no concern for childhood education and counseling. Well I've said too much ; but it was all by way of telling you how very important I consider your App. Thank-you to all involved who had a hand, heart, or mind in developing Laudate for myself, and every other person who benefits by it, who may not have the ability to thank you in writing. Let me please offer that from them to you!